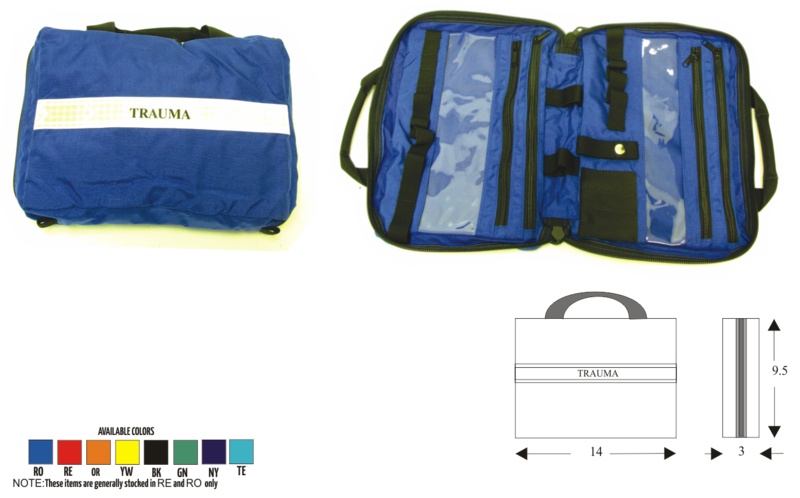 The MT:02 Trauma module is a module developed to organize your trauma supplies. In a visual and logical format The use of a module makes it much easier for two attendants to work out of one main turn out bag. The trauma module is set up so the contents are off set to keep the bag in more of a rectangular shape.